Let’s get the barebones plot out of the way. Realizing that he can’t reason with Toichiro, Mob decides to fight back. If he hesitates any longer, his friends will be in danger, and he repeatedly reminds us that he fears this more than anything. Nevertheless, what I said in last week’s post still holds true. The big, bad evil wants to turn this into a typical shounen battle. 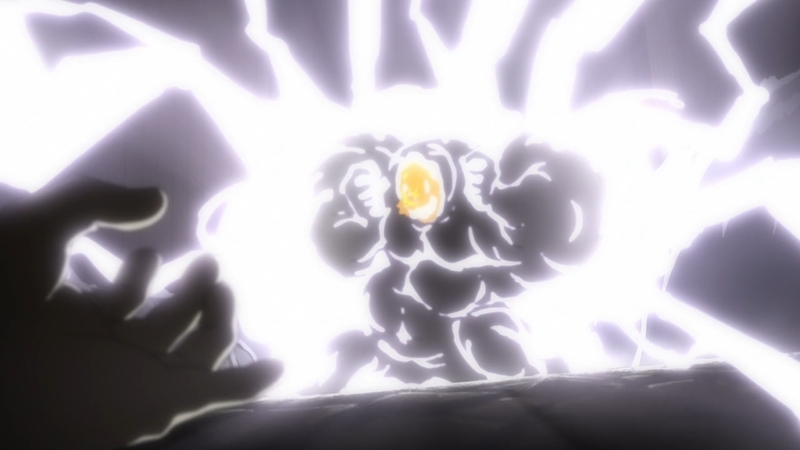 As a result we see his power level output go up steadily as the episode unfolds. 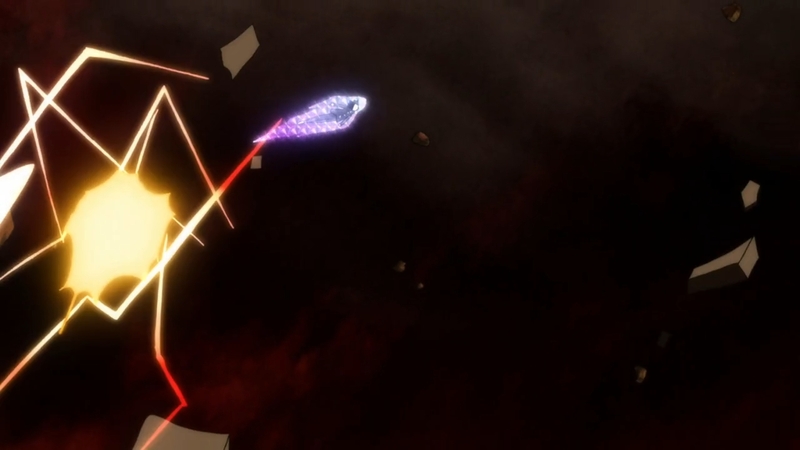 His physical form even goes through multiple forms as he hurls generic shounen-esque attacks at Mob. On the other hand, the kid is always himself… on the surface. 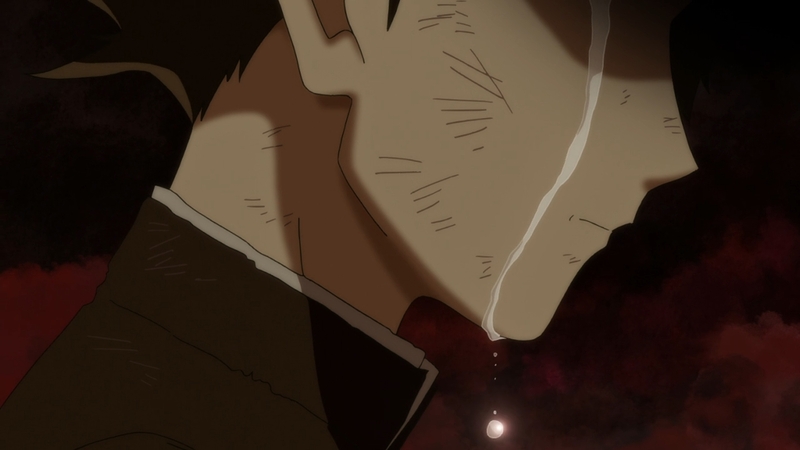 But in contrast to Toichiro, it is Mob’s emotional state that undergoes multiple form changes. At first, he loses himself to the thrill of battle. He even appears to cackle with delight as he dodges his foe’s attacks. Mob is then ashamed when he catches his brother’s concerned eyes. 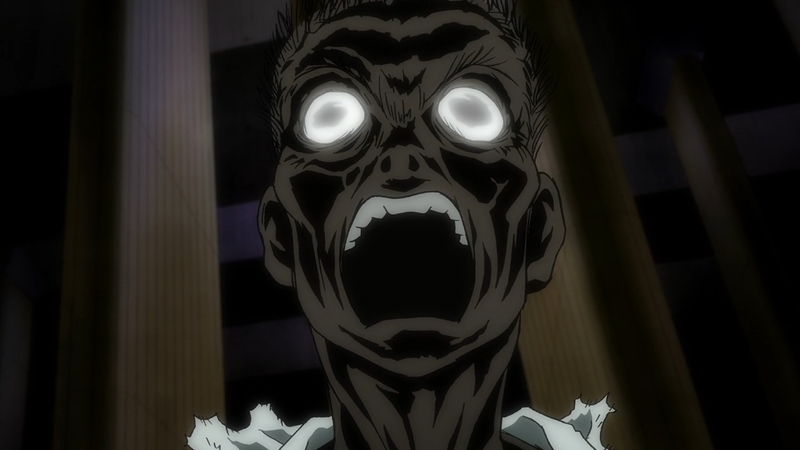 This pulls Mob from the brink of insanity, which then allows him to pity and even shed tears for Toichiro. But when his compassionate fails to move his foe, Mob suddenly turns very cold. It’s almost as if he has finally given up in trying to achieve a diplomatic victory. Down but not out, Toichiro pushes himself to 100%. Unfortunately, it’s too much power even for him to handle. 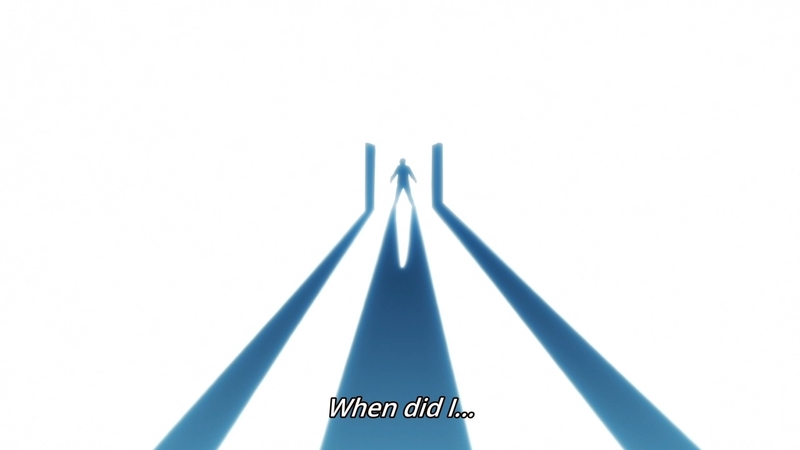 So as expected, our protagonist decides to risk his own life to try and save Sho’s father. Despite the man’s protestations, Mob absorbs some of his power. In the end, we still get the iconic mushroom cloud, but I can only assume that the kid prevented an even greater tragedy. In Toichiro, we get a typical villain who believes wholeheartedly in his own power and farts. He thinks he’s the best, and as a result, he’s not just his own hero but yours as well! 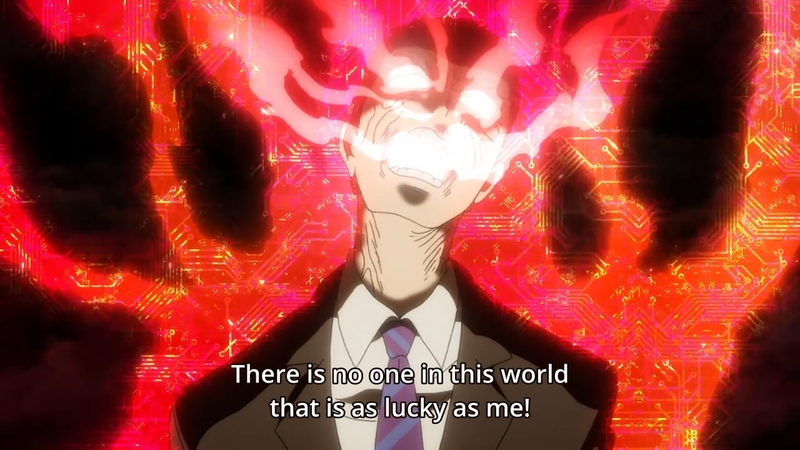 On the flip side, Mob keenly believes that he is nothing special despite his powers. After all, he can’t even impress Tsubomi! He’s just fine with being the protagonist of his own life. So he takes aim at the bad, bad evil’s hollowness. He points out the emptiness in Toichiro’s life. He has no family, no friends, no anything. The man thinks that might makes right, so everything will just work out in the end. Mob obviously disagrees. So how do we settle this argument? We settle it by peering into Toichiro’s heart. In doing so, we realize that he’s always been a failure, but he just doesn’t want to admit it. He thinks people will follow him simply because he is great, but he can’t even save his own marriage. His wife immediately proved to him that power can’t sway everybody. Rather than swallowing his own pride and getting his wife back, Toichiro opted to forge ahead with his foolhardy dreams. Maybe he thought that if he managed to conquer the world, his wife would change her mind. In the end, it just comes back to the basic idea that we’re not all that different from each other. Neither Mob nor Toichiro can win a woman’s heart by just flexing their powers. Mob learned this lesson at a young, formative age. Unfortunately, Toichiro didn’t have the same luxury. Nevertheless, Mob tells the guy not to give up. If Toichiro wants to apologize to his wife, he should find the courage to do so. Y’know, much like how Mob is working up the courage to confess his feelings to Tsubomi one day. So why am I conflicted? Well, like I said a few weeks ago, I’m not thrilled by this arc. It just feels so by the numbers. It’s full of characters I don’t care about, and mindless action that I care even less about. As for the plot, this is what it feels like: “I’m going to grab all of these shounen tropes, then I’m going to subvert them! You’ve already seen how brainless muscle-heads deal with megalomaniacs like Toichiro! 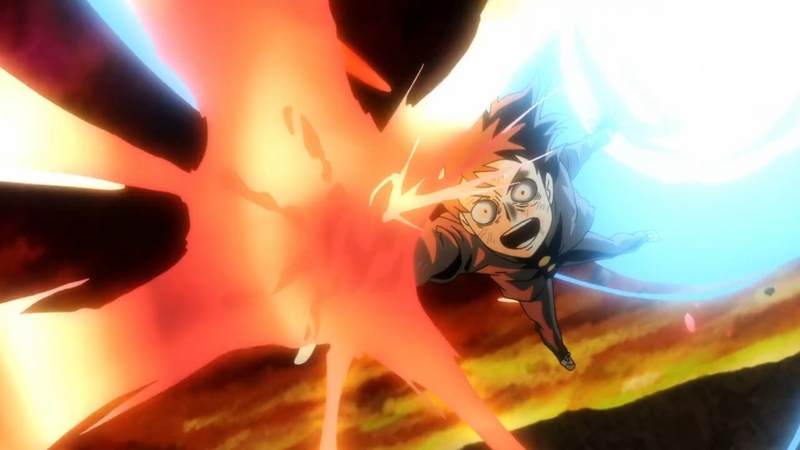 This is how Mob, our soft-spoken boy with strong, teen emotions, deals with the situation instead! It’ll be different! And fresh!” Okay, sure. What we get is still well-executed. But a well-executed grilled cheese sandwich is still just a grilled cheese sandwich. The first two episodes of this arc was pretty boring. Every arc strikes an emotional chord. Some are just better than others. I would argue that every previous arc does a better job of this than this one. As a culmination of Mob’s progress and character development, this arc is fine. He’s still scared, but he won’t run away. But his final interaction with Toichiro leaves me wanting. The big, bad villain has laughably no development or backstory up until the 11th hour, so it’s hard for me to really empathize with the guy. More importantly, hen Mob tries to draw a connection between Toichiro’s domestic problems with his own love issues, I couldn’t help but roll my eyes a bit. After all, Tsubomi feels like one big question mark. Through two seasons, I still don’t really know all that much about her. 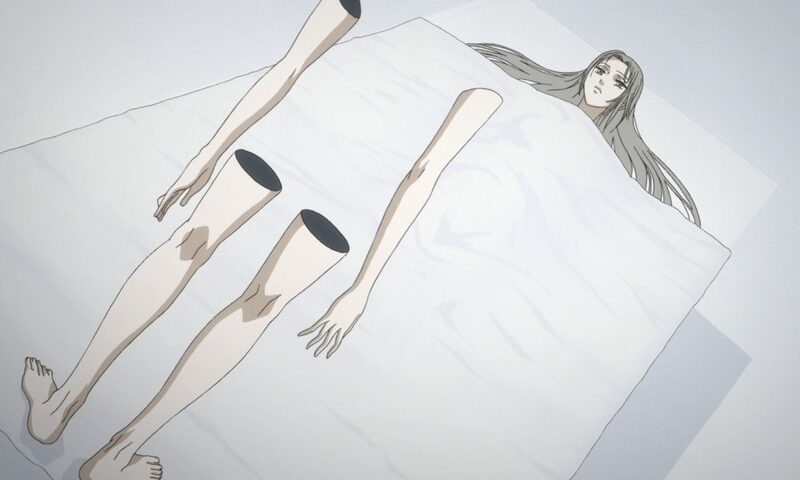 Likewise, I don’t see what Mob sees in her either. It’s almost like he’s just chasing an ideal rather than a real, actual person. 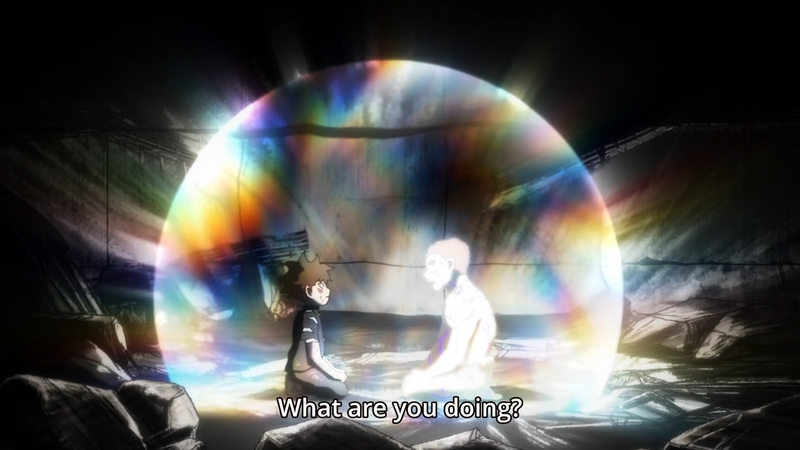 So even though his final exchange with Toichiro is supposed to be emotionally powerful, it ironically feels hollow. Ah well, let’s wrap it up. 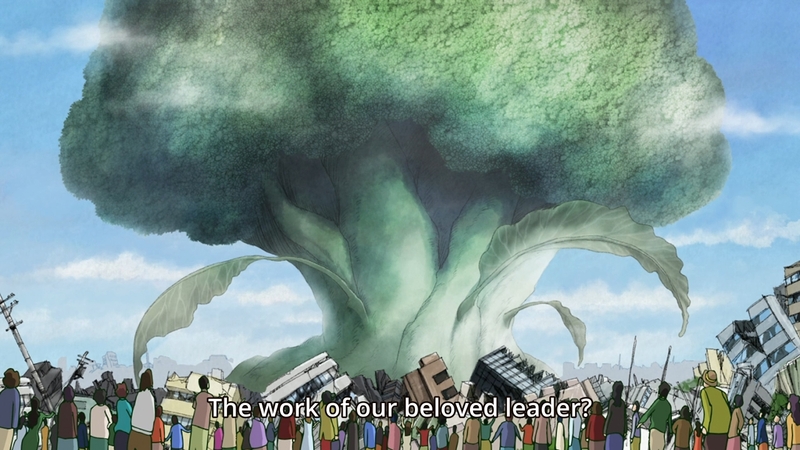 In the aftermath, we get a giant broccoli that everyone will now begin to worship. Reigen had given the kid some broccoli seeds, which the latter stuck in his front pocket. 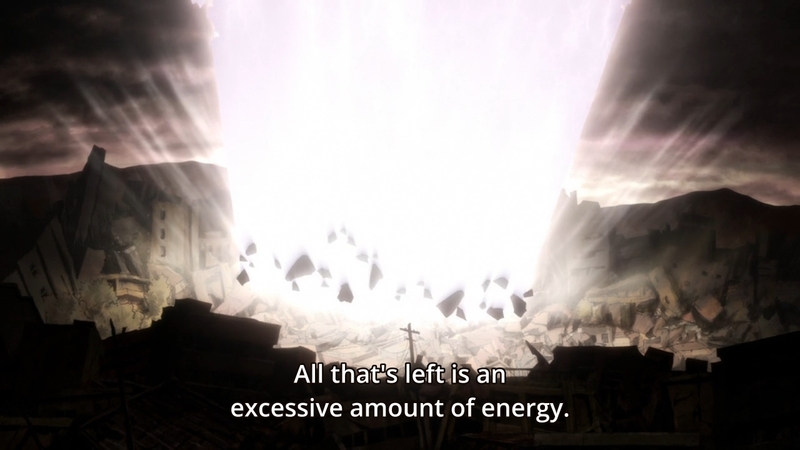 I guess when he tried to absorb some of Toichiro’s power, some of it got redirected into the seeds? Shrug. As for what role the giant broccoli will play, your guess is as good as mine. Since I’m not (typically) a manga reader, I’ll just have to wait until Bones decides adapt more of the story. Oh yeah, Toichiro did manage to survive in the end. He and Sho exchange a few words about the kid’s mother, but I don’t feel like recapping them here. We also see ex-Claw members integrate themselves into society. Serizawa, for instance, will now work for Reigen. Um, that’s nice. But again, these are characters I know relatively nothing about, so what happens to them in the long run is largely of no concern to me. 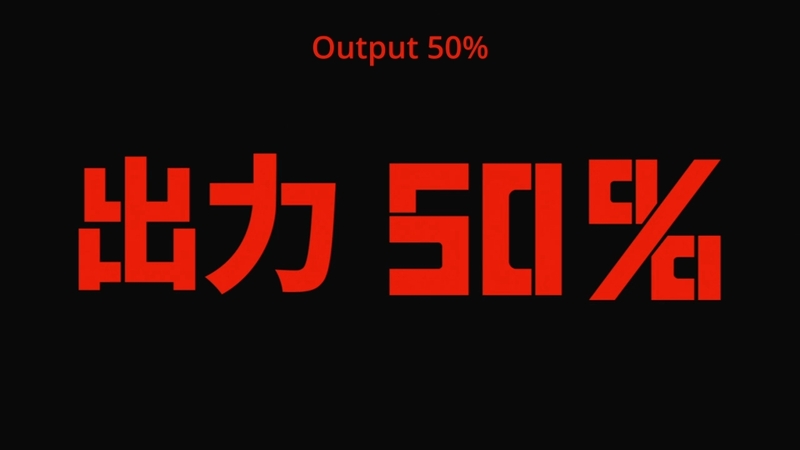 Obviously, Mob Psycho 100 is very much centered around its eponymous main character (as it should be). But I feel as though one of the series’ biggest weakness is that no one else really comes close to him in terms of depth. Reigen is naturally the closest candidate, but even then, they could’ve done more with him. As for the rest of the cast, they just filter in and out as the plot dictates. There isn’t really much meat to their stories. 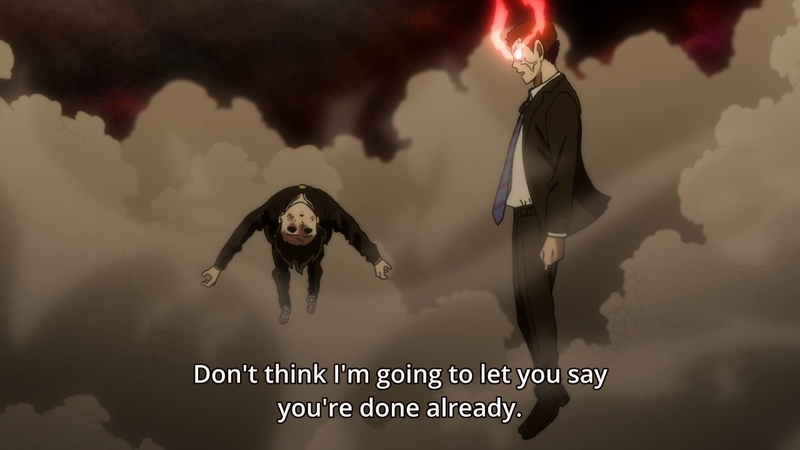 Mob Psycho 100 is a good show. I don’t think it’s a great one. Yes, I think you’re right, at least for this season, the side characters still don’t have much development. 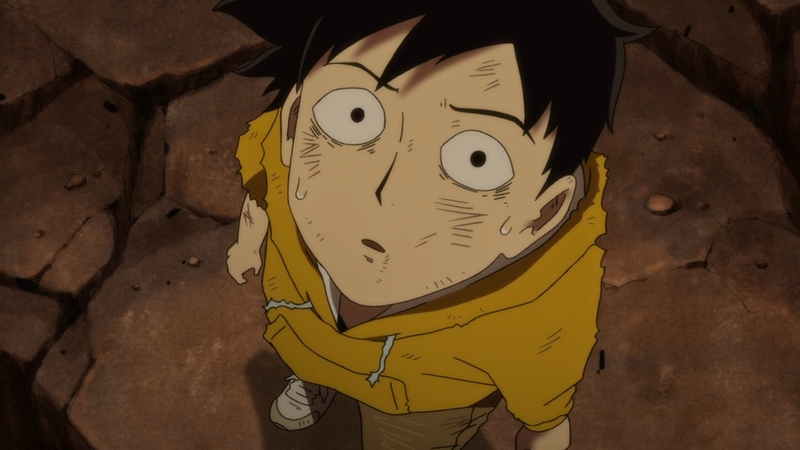 Mob’s brother has an arc last season, but after that his character is very static. I don’t mind it much though. I always see it as a character study of Mob, or a young, nice but reserved boy, having some sort of disorder. And I like Mob. He’s probably the main character I like best this season. 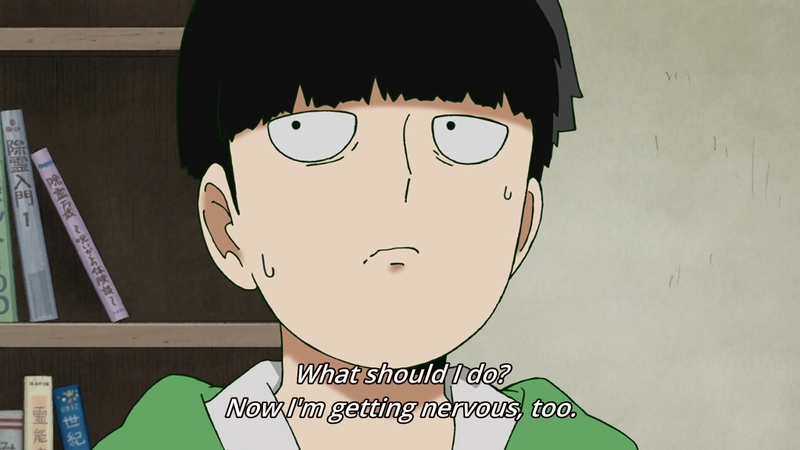 It’s very hard to write a character like Mob and makes him endearing, interesting. A character that is nice, with a pure of heart, always trying to become a better human, always nice and caring to other people…Superman is, in my opinion, harder to make interesting than Batman. 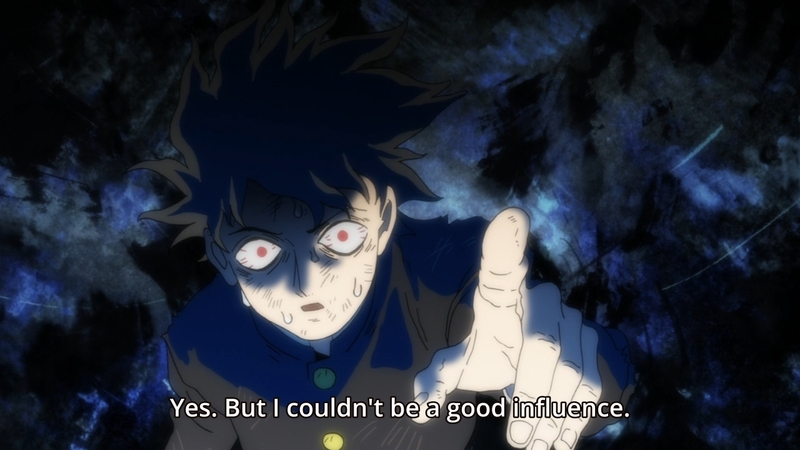 But they make me like Mob, and really show me how the kid has slowly but surely change and become a better version of himself. My post is mostly a response to people who can’t believe that this show isn’t one of my favorites of all time. It’s a fine show. There are just a few many things I don’t really care for. This is a good show, but I won’t put it in my top ten either. To suit my taste, I would rather it turn down the shounen battle a bit. I too don’t see why this is so well loves but it definitely isn’t bad. I did enjoy it a bit more when i felt mob’s relationship with Reigen was less parasitic. Not sure. It has its moments, and Mob is easy to root for. 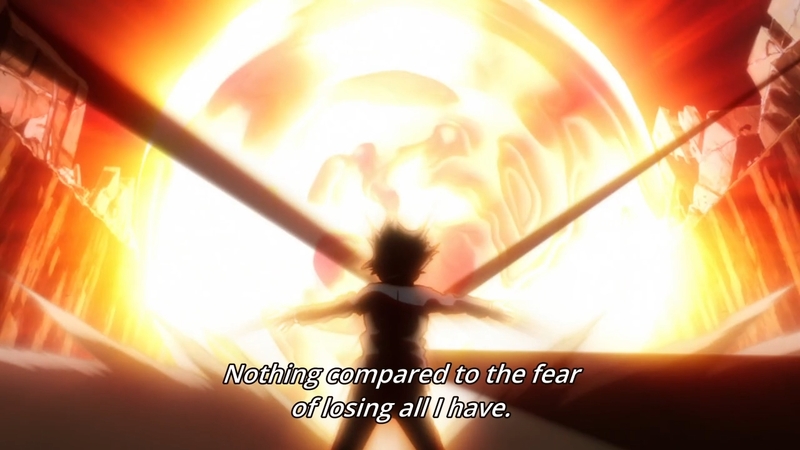 But honestly, it feels like a souped-up shounen at times. A good one, but nothing mindblowing. So much wasted potential. I actually said the same thing as you, Mob Psycho 200 never got down to the meat and potatoes. Most of the episodes felt like filler ones and they just kept dragging. I’d even say the first season was better than the second purely because they managed their time better. The B is deserved.